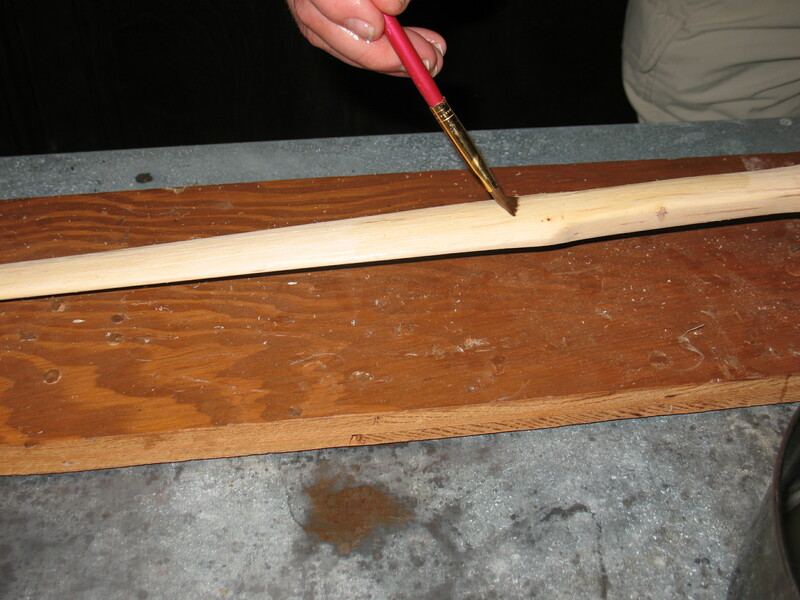 Putting a sinew backing on a wooden bow will improve the bow in a number of ways. 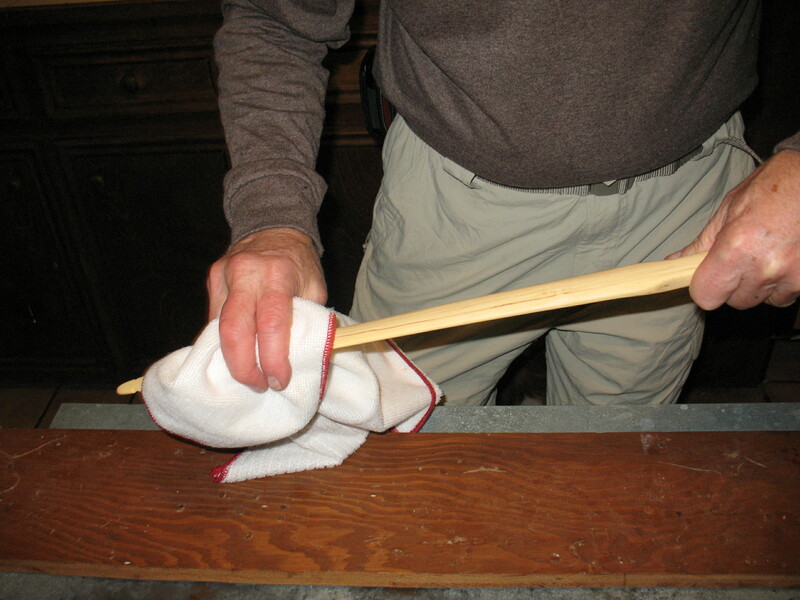 It will keep fibers from lifting up on the back of the bow, and thus help prevent the bow from breaking. 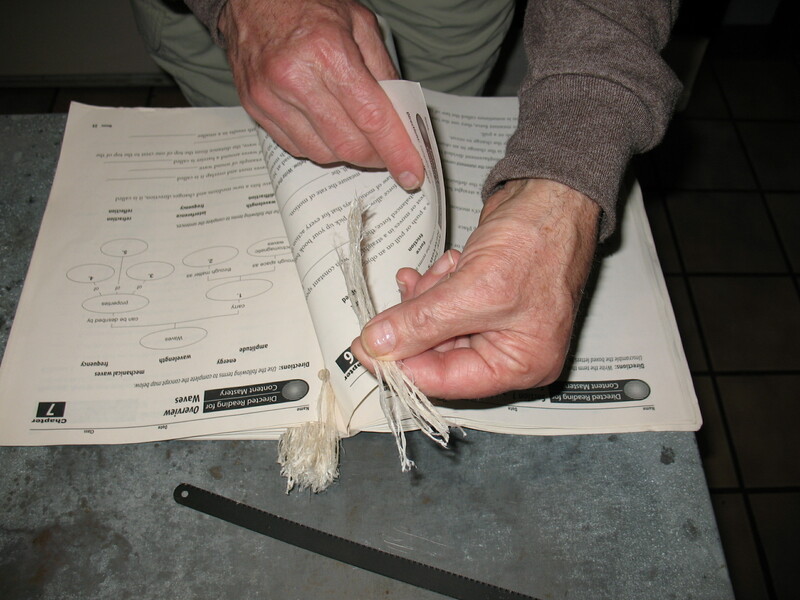 It will help keep the bow from following the string (the tendency of the bow to stay a little bent after you have un-strung it). It will give the bow more snap when you release an arrow, and it will increase the draw weight of the bow a little. For all of these reasons, sinew backing is a good policy with wooden bows; and I rarely build a bow anymore that I don’t sinew back. The question is often asked, “How much sinew does it take to back a bow?” I’ve tried to work out some kind of formula for this, but I haven’t had any luck. There are just too many variables. Sinews come in different thicknesses and different lengths, bows can be wide or narrow, they can be long or short. 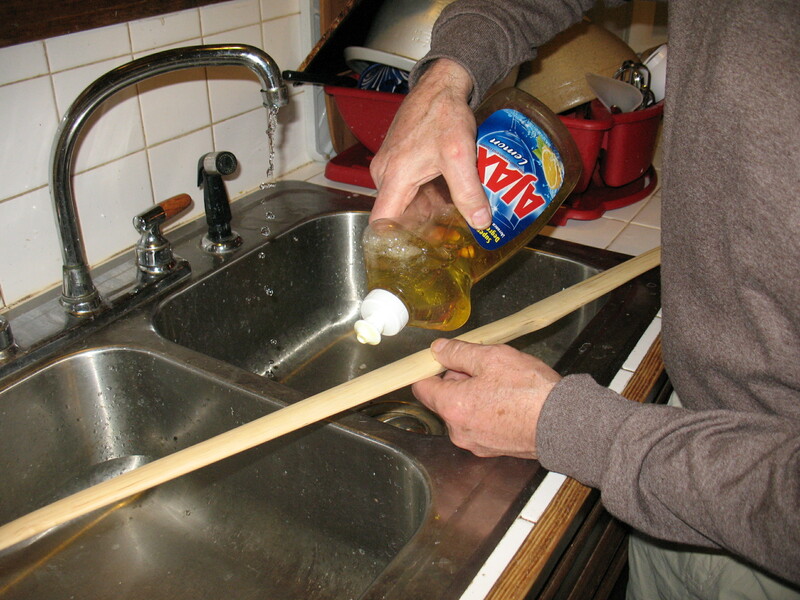 You may just want one layer of sinew on your bow, or you may want four or five. I guess you could figure out how many grams of sinew it takes per square inch, but my guess is that you would probably be wrong. 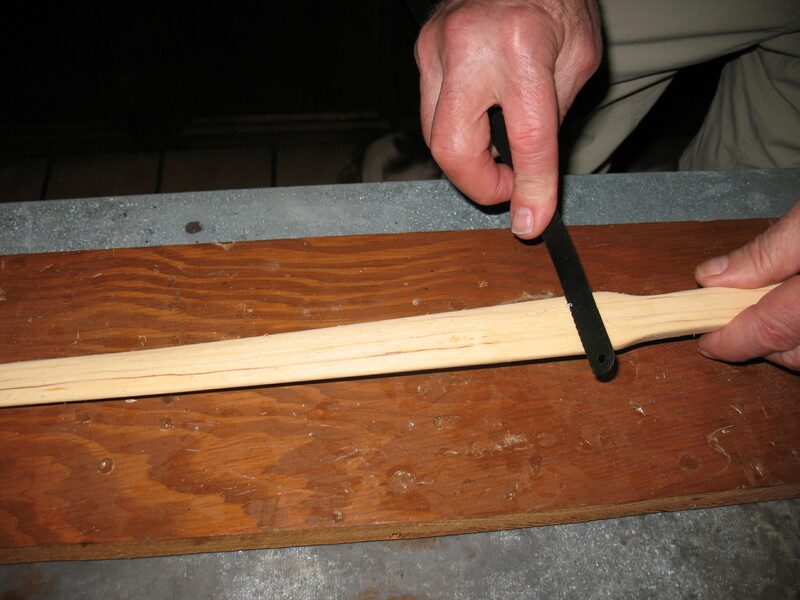 With the type of bows I usually make I figure four to six sinews per layer of backing. 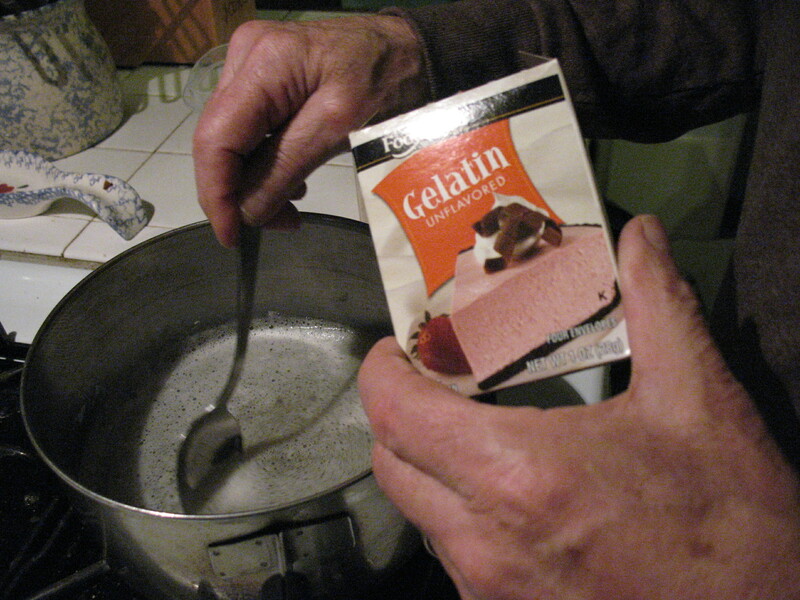 I always do up more sinew than I think I’ll need. That way I don’t run out in the middle of backing a bow, and I can always use the excess on the next bow that I make. 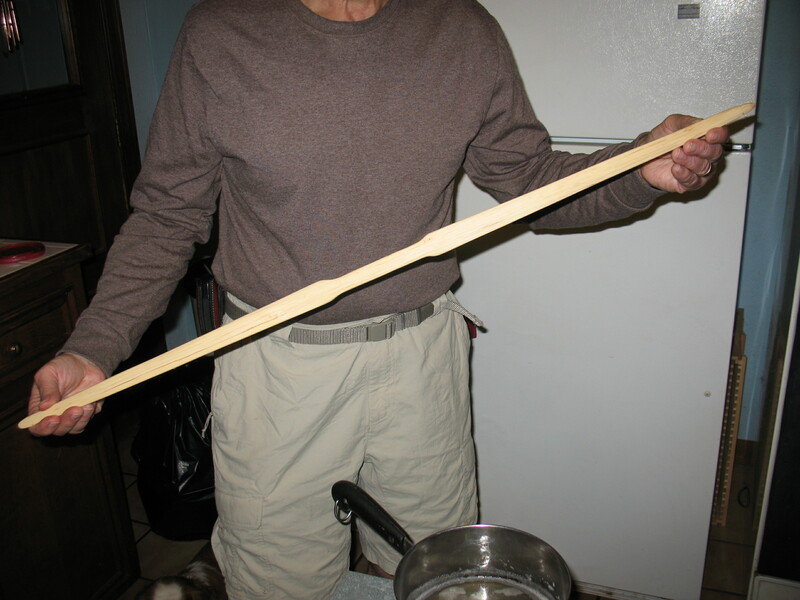 In the next post we will apply sinew to the bow.